destroyed by Google’s animal updates. We too have disavowed twice all of the bad links and removed as many others as possible and still no recovery. sits Target, Walmart, Home Depot etc. Small businesses like mine with better selection, price, customer service etc. have been pushed back to page 2 or 3 and forced to spend more on AdWords to try to hang on. We desperately trying to stay in business now with our organic traffic down 80%. NOTE: This was one of 62 comments that were originally in the version of Sugar Rae’s post Google Propaganda, SEO and Why Marketers Need to Wake Up when I captured the two used in this post. WebProNews has since DELETED those comments. know how small businesses are being affected. Day after day more small businesses are laid to waste, barely hanging on, having to let their employees go or even close their doors in the path of Google’s relentless quest to favor big brands. Aaron Wall quoted the Google CEO in that post from February 2009 and has written about it many times since that date. Those of us who see the handwriting on the wall have sounded the alarm – but many still shut their ears and their minds because they do not want to acknowledge the truth. Year after year, more small businesses fall victim to Google’s updates. MayDay, Farmer – later officially dubbed Panda, Penguins of various numbers – all intentionally destroy jobs and businesses by taking away their traffic and sales. These are not churn and burn websites put up by spammers – these are real businesses – many open for 10-12 years who have employees and overhead. Or should I say – used to have employees and overhead. Those jobs are gone. For 5.5 years I managed AdWords accounts for small businesses during the golden years of PPC. I was there before conversion tracking and before Google bought Urchin and started giving it away as Google Analytics. I warned my clients Google would use these tools to know which keywords convert. That eventually they would not be able to compete in Google’s zero sum game. But that even if they didn’t share – their competitors would. I could see where Google was going. I showed Bob Cringely at PBS what Google was doing and he wrote about Google’s bad behavior for the PBS blog. And then I walked away from making $100/hr cash in advance to spend the last 6 years figuring out how small business can survive Google’s assaults. Few realize that Google plays many games independently of each other. Real PR, toolbar PR, serps, personalized serps, real traffic, distribution fraud, automating the churning of who is up and who is down. What PageRank supposedly originally meant has changed over the years. The PageRank displayed on toolbars is not the real PR that Google uses to rank sites. ranking for everything except your name and URL. Or they can sneakily take away sales while still sending you the same or even more traffic by causing you to not rank only for the specific keyword phrases that generate sales. They can de-index your site so no one can find it at all, but often they WILL let your site be found if someone uses your URL or name – but never otherwise. Or they can make an example of you by taking away your publicly visible PageRank (PR). or blog, they set their public PR to 0. Matt’s response was that we’d be surprised how many regular people (that’s basically non-SEO types or NST’s) use the toolbar to figure out how reputable something is. So what he’s confirmed from Google’s perspective is that NST’s use the PageRank Toolbar as a trust mechanism. This is my entire reasoning for turning it off because the NST is fooled by a manipulated PageRank number, which is more of an anti-trust — Why does it still exist? You’re exactly right, Dan. It IS an anti-trust signal. No one knows what it really means. Or what impact it has on the sites that link to a site that gets penalized. No one knows if one site getting penalized hurts the sites that site has recommended. Because no one knows, the common reaction is to avoid having anything to do with a site that has PR0 or PR n/a – especially when it used to be PR4 or PR5. Domain Authority that is now PR0 help you? SEOs please comment on this. Brands paying for sponsored content require a minimum PageRank, so Google can seriously damage a blogger’s ability to make a living by taking away their PR. The true irony of that is that sponsored posts are nofollow – so the PR doesn’t matter anyway! I am still receiving requests to publish guest posts. I explained the situation to one PR agency and they said they didn’t care. But in the future, this site will not be on their radar as blog outreach tools use a minimum of PR3 in their searches. Google has officially declared war on the publishing community. But they underestimate the importance of reaching your audience. As a blogger or a small business, you can not stop marketing. You can not stop producing compelling content. Google CAN NOT stop content marketing. Theoretically, if you are a good little boy or girl, Google will not penalize you. But the reality is, no matter what you do you can still be penalized. Because of this, some bloggers no longer ever put a link to their own sites when they comment anywhere. Some will never link to a small business for any reason for fear that Google may assume that link is paid. They might. They have no way of knowing. They just make wild assumptions. Anyone who gets annoyed at you – maybe because you deleted their profanity laced comment – can report your site to Google and get you penalized. Do not let anyone link to you. If they do, ask them to remove the links. That should keep you safe, right? Sorry, no. It won’t. Anyone can still report your site and get you penalized anyway. Not that it would matter – because your site would not be found for anything, anyway. The links under Recommended on my home page – NONE OF WHICH I ever received one dime to mention (although if these companies were wise they should want me as their brand evangelist because I have been recommending them for free for years because they are so good. See the brands I recommend here. I first suspected it was either because of the post about guest blogging or because I use CommentLuv and KeywordLuv. Google obviously knows I do – and I have since this blog started in August 2008. Yet they never penalized me until now. Then I received an email from SEO Journalist Tim Resnik asking me about a recent Google ban of Guest Post Shop customers and sending me a link to a post on searchenginegeeks.wordpress.com which listed a guest post I published. I have never heard of that company, but I did publish the guest post by Anna Roberson: Top Three Competitive Analysis Tools to Fire Up Your Online Business named on that page. I encourage you to look at that post and decide for yourself whether it provides value to those who read it. I learned from it and I made the decision to publish it. That is the likely reason Google penalized this entire site. to brand my work with a big fat PR0. GrowMap is not the only victim of this link snitch. At least some of the other sites they reported – solely because they published a guest post that included a link to a specific site – have also been penalized. His motivation appears to be competition. He is turning in the clients of a company he considers his competitor. I wonder if he realizes his actions may cost jobs and shut down good small businesses. Small businesses lose 58, 70 or even 100% of their sales. Employees of those businesses lose their jobs. Other sites will avoid linking to you “just in case”. Blogs that were receiving income for sponsored posts which enable them to hire others lose their incomes. You are likely to stop receiving traffic from Google. Google does not usually immediately take your PageRank or all of your traffic unless they want to make an example of you. They take some of it, and then if you don’t waste thousands of hours playing their reconsideration game they keep taking more. I have already wasted all the productive hours I’m willing to sacrifice on Google’s disavow alter trying to help other sites and small businesses Google has destroyed. “In this video Matt Cutts mentioned that Google takes over 400,000 manual actions each month & they get about 5,000 reconsideration request messages each week, so over 95% of the sites which receive notification never reply. Many of those who reply are wasting their time. How many confirmed Penguin 1.0 recoveries are you aware of? Every day I receive requests to allow guest posts and every day I receive requests to remove links from comments or existing content. The number of hours and amount of money wasted on Google’s nonsense is incalculable. How many will be financially and emotionally damaged by this one selfish person? What Google is doing is destroying jobs, careers, businesses and lives. It is NOT about spam. 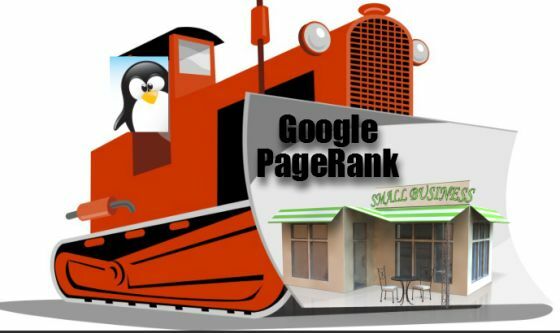 More and more sites worried about their traffic from Google and their PageRank will avoid linking to small businesses and blogs. As the penalized – weary from hours of requesting link removals – get desperate they will just disavow all the sites that link to them. That will have the domino affect of getting sites that link to others penalized. Google is killing the Internet as we know it. We can let them scare us into participating in this ridiculous nonsense – or we can do what is right and use links for their original purpose: to provide additional information for our readers. Nothing – and here is why. As I already said, you may get penalized for doing what is right or for playing it cautious and trying to benefit no one. No matter what you do, you may be penalized. I am well aware that Google does not want us to use CommentLuv and KeywordLuv to build communities. There is no way I will remove them – they are what I will use to reach out to other bloggers and get even more traffic than Google ever sent me. I tested that in 2009 in Blog Traffic Up 54.87% in the Last 30 Days: Our Proven Traffic Improvement Strategy. I will be doing it again and will publish the results. I know that major sites refuse to link to small businesses because they’re afraid Google will wrongly assume they were paid to do so. Google’s FUD makes it even harder than it already is for small businesses to survive. a lot of blog commenting and guest posting. Many quality sites are artificially invisible. For years, GrayWolfSEO was PR0. I don’t know Michael Gray well enough to know if he did anything or Google finally gave him his PR back. Google’s penalties have nothing to do with spam. They are not about “cleaning up the Internet”. They are about Google controlling what we can find online. How many realize Google hides products in Google Product search listed by small businesses for searches on the phrases that actually convert? See screen captured proof in my post about Google’s Panda update (originally dubbed the Farmer update). Panda was not about targeting content farms. It primarily took traffic away from sites that compete with Google: competitors to Google Shopping, Google Maps, local directories, and answers sites. Wise people do not accept propaganda at face value. They look at the evidence to see what really happened. Even those who have been Google fanboys and girls are finally realizing the ‘spin’ is not the truth. Barry did what is right and stood his ground. Others supported him. But Google terrified so many people who are not willing to pay the price for doing the right thing that his sacrifice for their benefit was in vain. In spite of this site being penalized, I want to encourage bloggers to do the right thing. I made myself a big target by telling the truth about “earned media” and encouraging bloggers to recommend products, services and companies they feel provide excellence. You can choose to be pawns in the unwinnable game that Google is playing, or you can answer to a higher power and do the right thing. If you do so quietly, you are less likely to be penalized. But as you can see, this site was penalized due to a very high quality guest post that had nothing to do with money. Save the URLs of sites you consider important. Do not bookmark them. Save them ON YOUR HARD DRIVE. I use Tomboy Notes (free and works on Linux, Mac and Windows). At least save GrowMap.com because it is likely it will eventually be de-indexed because I have no intentions of wasting my precious time playing Google’s game. Google may think they control the Internet, but they don’t. They control search traffic with an unfair monopoly created by the media and the money of their owners. As of right now, though, they do not control the rest of the Internet. While nothing converts like search for instant sales, we can create relationships. Businesses need to focus on getting published where their potential customers hang out. who may want to buy what you offer. I encourage businesses to contact me about brand strategy. I have created a process to identify where your buyers are and strategies to reach them. Bloggers should continue to do the right thing. If you want something published that is controversial, consider having me publish it here so you do not make your site a target. Agencies and small businesses doing blog outreach need to be ultra-cautious. Do not use Google Authorship. Have bloggers write in their own voice instead of publishing your guest posts. There is no escaping the fact that nothing converts like search. People search when they are ready to buy. Google has an unfair monopoly on search. Until we promote an alternative that is just how it is. Yacy may be the solution we need. “If you got hit by a penalty for bad links you’re probably looking at 6 months to a year to recover after you clean things up.” ~ Google spokesperson John Mueller in his Closing Keynote at SMX Israel. Improve your conversion rates by improving usability and TESTING. Make sure you know what your potential readers / customers most want. Provide compelling incentives to get them on your lists. Relationships are what matter – learn to develop them. Only send what your subscribers really want to view! Visibility is key – get content where your buyers already are. Engage consistently until your relationships convert. really matters: your readers and customers. “January 31, 2014 at 12:51 am ~ I hate to say I told ya so, so I’ll just say I TRIED to tell ya so back in 2003. If you can ever convince yourself that you don’t NEED google, you’ll find there are a LOT of places to get traffic from that google does not control. The thing is you can’t continue to take the approach it’s about beating google. you have to accept it’s about engaging people. For almost 20 years SEO has seemed to be satisfied with a 2-4% conversion rate because we could get 10’s of thousands of “hits” by being in the top of google/alta vista/ infoseek/excite/etc. We need to be creating relationships with our readers. Businesses need to be doing the same with their visitors. In the past some used systems like Salesfusion, OfficeAutoPilot or Infusionsoft. Now there is a marketing lead generation system that costs under $30/mo for up to 30,000 emails that does the same thing. I have not had time to edit the autoresponder series that comes with that marketing system. It may sound too ‘sales-y’ to be me – but I assure you it IS what we need. We just need to modify the messages going out. Figuring out what our subscribers actually want to receive should be extremely high on all of our priority lists. Thousands of small businesses’ stories illustrate the future of the Internet if we, the users, do not wake up. 100% of the small businesses I did AdWords management for have been injured by Google. But as bad as Google is, the Net Neutrality issue is worse. A recent court decision indicates that Internet providers are going to be allowed to charge sites for access. What this means is only those with the deepest pockets will be allowed to have working sites on the Internet. I encourage bloggers to create group blogs so that you MAY be able to pay to stay online. I say may, because that is only one obstacle to overcome. I have personally seen millionaires told “they aren’t in the club” and their money turned away. So even if we can pay, we may not be allowed to stay online on this Internet. If the Net Neutrality issue is not overturned, we will need to look at using the darknet. Or going back to bbs. Yesterday, The Washington Post reported on Why the Supreme Court probably won’t take on net neutrality. Do You Feel Others Should Still See My Content? If you do, you can help. The best way is to read and share my posts. I am willing to be your personal concierge to my content. Send me a regular tweet to @GrowMap or add me on Skype (username growmap). PLEASE SHARE THIS POST FAR AND WIDE TO BENEFIT MANY! Nowadays, Google is not penalizing websites massively because Google team does not want spammers would detect their strategies and can came the Google guidelines. On other hand, it is also experienced that Google has made fast its indexing process so much even sometimes when you publish a article it will be indexed in Google searches just in few minutes. As in the past, Content is the King that should be original, informative and unique if you want your website on top positions. First of all thanks for sharing such a wonderful article. Which provides very useful information. actually i was looking for such info about see. Thankyou for sharing! i was looking for such info…on seo! I am behind you with everything that you have written here 100%. We should talk, send me an email please. The end result here is that you are attempting to build your online presence so your business could survive if Google ever chose it didn’t prefer your site, for whatsoever explanation for why. The point is to speak and captivate with your existing client base to advance trust and dependability. I think Domain Authority and Google Authorship are the only things that we as a bloggers should focus on now. PageRank is a thing of past. DA and Authorship will be the things that will decide how your blog’s rank should come up on searches. Google authorship is going to get many blogs and small businesses penalized because they do not understand what they are supposed to do or not do. People doing content marketing do not realize how much easier authorship will make it for Google to penalize all their clients. Google announced their intention to take traffic away from small business and blogs and hand it to big brands years ago. Every update moves them more in that direction. I keep hoping that some would finally wake up and focus on everything else. There is no easy way to get sales without search, so you must learn the harder ways to survive. This is a great article Gail. I think that for many small businesses, they fall into a trap where they do not understand what it is that Google require. Shoddy SEO can leave lasting damage. While may people seem up in arms over Matt Cutts’ comments on Guest Blogging, I actually think it is a good thing. It will force Guest Blogging to return to what it once was – quality content used to build authority instead of being a chep way to secure links. What people refuse to hear is that small businesses THAT HAVE DONE NOTHING WRONG are being destroyed by Google. On top of that, even if a small business did something to get ranked, if that IS the best result why would we want them to be removed? That is not best for the users. Thank you for sharing this. It gives me an idea.. Awesome post and really good and help full for every one especially for me thanks a lot……………………………. Great article..Thank you for sharing such an informative article.. I can honestly say, Gail, that I didn\’t totally understand everything you wrote, but I do understand the tactic of banding together to help each other and I\’m in! You are an awesome leader! BTW, I had a wonderful gardening tips blog a few years ago that was providing a nice, steady adsense income. In one of Google\’s \”jump up and down and reorganize everything\” spree\’s, my PR disappeared overnight, as did my revenue. I have no idea how or why but your article makes a lot of sense. Thanks. Thank you so much for your comment. As many sites as have lost their traffic and income as there have been over the years, it still surprises me that so many keep defending their actions. Although my horse site made $400+ a month in AdSense revenue for years, I consider AdSense to be “blogger welfare” they can take back at any time. I do not use it on any site any more. We must create our own communities and find each other through the use of CommentLuv and linking to each other. As long as people rely on Google they have no security at all. At least if we collaborate there is some unless net neutrality goes away. That could happen, which is why I keep trying to get bloggers to create LOCAL communities. At the end of the day Google is an advertising platform! that’s what it does, it’s better clients are the big guys. It pretends to care about the mom and pop businesses but it don’t make $$$ from them. More people should use other engines, not that they are really any different but maybe some competition will help us all? You are allowing Google to KILL small business by playing into their hand. This is exactly what they want – that small businesses lose all ability to compete. We need to do the opposite. IGNORE GOOGLE and write about, recommend and link to those who are most deserving. If we do not, eventually there will be no small business. No bloggers except those sanctioned by the wealthy elite. No choices. No freedom. Do you not see where this is going? I read you article about the Google and its updates. Well, Google is a search engine that is always looking for its visitors and to provide them the best search results according to their desire. Let me clear you about the updates of the Google. These updated are designs to stop spamming on internet. 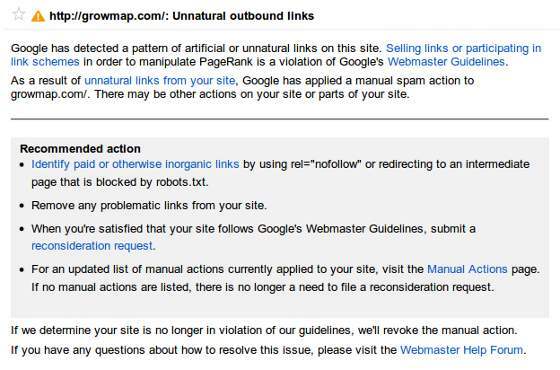 Google only penalize those websites, who are not following its guidelines. Yes, the Google has the guidelines to be followed. According to my research their are many websites that got’s top rankings after the updates. The reason behind their success was following the guidelines. There are some blogs like SEOMOZ that teaches you how the search engine works and if you need proper information about the Google you can visit its webmaster website and read the user guide, you will get all your answers. Anyways, thanks for sharing this article. I personally know of sites that NEVER broke any Google guidelines, never hired an SEO, never built a single link – just built a real business over 10+ years and then lost 58-70% of their traffic and sales overnight. Stop being gullible. Google serves as judge, jury and executioner. People need to stop defending their heinous actions. Stop assuming that every site penalized deserves it. Stop assuming they are all guilty when in many cases they are NOT guilty. And even if they are – the only thing they are guilty of is marketing their business. Google is not a deity. They have self-proclaimed themselves ‘god’ and they ARE NOT. I answer to a higher authority. Intelligent people should quit believing the propaganda and do what is right. This is Very Good Information.. I am SEO Analyst. This articles Very Helpful For me. Thank you for sharing this New updations.. This is a very usefull information for us .It will definately help people and i think new algorithm for SEO will be a knife on our neck. I built a website for my Mom to sell her antiques and antique jewelry in 2001. She ranked well on Google for several related keywords from 2001 until the end of 2012. This resulted in enough sales to make a decent secondary income for her. Since the beginning of 2013, those same keywords are dominated by eBay, Etsy, Chinese wholesalers, Youtube videos and Pinterest pages. The small businesses in this area were almost all pushed down. My Mom’s site is all the way down to the 4th page or worse. Sales and inquiries are now at zero and she asked me to shut it down so she can just sell off her inventory on eBay. So, Google wins. I guess these small businesses are spam to Google. Very sad. I should also add that the only traffic Google sees fit to send to the site is to the blog, which has information on the history, values and research on antiques and jewelry. Of course, this traffic is worthless, since people looking for this information are not looking to buy. So Google wants us to be a free informational site I guess. Only Google is allowed to make money. i think days of google as search engine near the end. It was before search engine for human, but now it google cash cow only. Whereas the Google Page Rank is concerned, i have also lost ranking of my sites. Google is changing its policies and SERPs, so a big number of bloggers have affected from its change. I cannot believe that the publishing community is undergoing this kind of attack. It seems that there is a lot of noise right now on the twitter-sphere about this and I personally can’t understand why the folks over at the big G would manually remove your visible Page Rank or even drop it to 0. Granted, I know that Matt recently announce that Guest Blogging was “done” for but I don’t think that legitimate blogs should be punished like this. It would seem that Google has in fact gone to war with the publishing community if every aspect of your SEO remains the same and out of the blue your PR score is shot. That’s pretty unfair. The only thing that I can recommend from my understanding of external SEO factors, for those who are going through something like this, is to wait it out. The truth will surface as other make their views known. In the meantime, I think that focusing on Traffic numbers is the most important thing to keep in mind when looking for guest blogging opportunities. After all, that’s still the reason we all do what we do online, right? Thanks for setting up the blog mastermind group. I’m always happy to connect with others online.